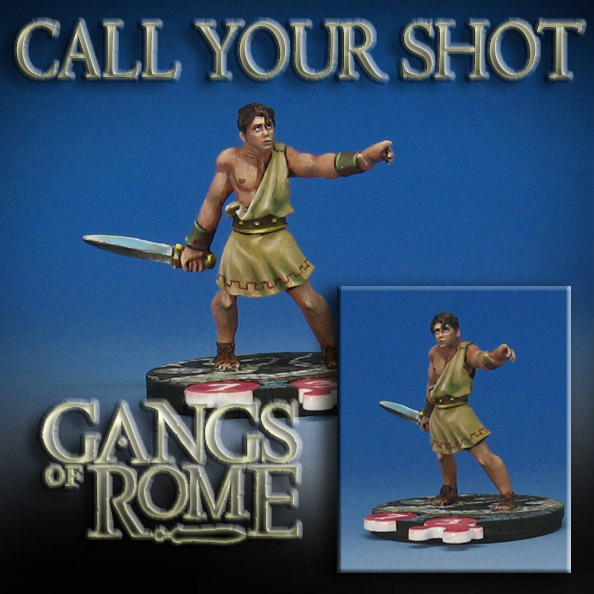 While I have been showing you the completed images of the mobs from Gangs of Rome, there are other figures central to the game. This would be the gladiators and fighters themselves! Again, I have not played the game at this point, but I do know that these numbers you see on the red pieces are meant to identify the character and keep track of wounds. I think you can equip each of your fighters how you wish, and then you keep track of them with a 'roster', matching them up to the number on the left. The bases have these cutouts already, and the little counters are included in the blister, as well as the cards, dice, and so on. As I show these various fighters, you will see small portions of those larger mosaics which I profiled in the step by step articles!